Daragh Maccabee joined the Idaho Milk Products team as CEO in 2017. Daragh’s beliefs include creating a business culture that focuses on developing people to their fullest potential, creating leaders at all levels. He believes that our work should enrich the lives of our people and our community. With his leadership and commitment, our team continuously strives to add maximum value to the milk that we are entrusted with and create a business that can sustain itself for generations. Daragh graduated from Griffith College Dublin and the Dublin Business School and is a Fellow of the Association of Chartered Certified Accountants. After 5 years in public practice, he initially worked with an Irish hotel group in Central Europe. Prior to joining Idaho Milk Products, Daragh spent 18 years with Glanbia, most recently as SVP Procurement & Dairy Economics at Glanbia Nutritionals. 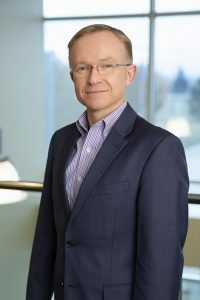 He served on the Board of Southwest Cheese and from 2006 to 2015 held the position of Executive Vice President & CFO of Glanbia’s US Cheese and Whey business He started his career with Glanbia as Financial controller of the group’s Irish Consumer Foods Division. Daragh is a native of Ireland. He is married to Dolores and has 3 teenage daughters. He enjoys long distance running and has competed in multiple marathons and ultra-marathons. 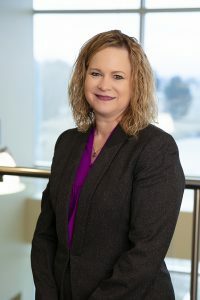 Tina Thatcher joined the Idaho Milk Products team as Vice President of Finance in 2019. She is an Idaho licensed Certified Public Accountant, with over 20 years’ experience in the dairy industry. Tina manages banking relationships, board reporting, and risk management, as well as core financial responsibilities. Tina holds a bachelor’s degree in Business Administration from Oregon State University and an MBA in Accounting from Kennedy-Western University and continued her education by completing the Strategic Financial Leadership Program at Dartmouth College. She came to Idaho Milk Products from Glanbia Nutritionals where she served as Vice President, Operations Finance. During that time, she partnered with the Chief Operating Officer to drive efficiency and effectiveness in manufacturing and logistical operations across Europe, Asia and the US. She also held the position of Chief Financial Officer of Southwest Cheese, a joint venture between Glanbia and DFA/Select Milk. Prior to her work at Southwest Cheese, Tina was Financial Controller for Glanbia Foods in Idaho and has also worked with Koch Feed Products as an accountant. In her free time, Tina loves camping and riding UTV’s. Tina has ridden a UTV from her home in Gooding to Idaho City taking the back-country roads, which were mostly dirt and gravel. The entire trip was about 150 miles one way and took about 10 hours. Crossing the South, Middle and North Forks of the Boise River was the highlight of her trip. Other historical stops along the way included Hill City, a ghost town and Rocky Bar, an old mining town with a population of 2-4 people, which still has a post office. Steve Christiansen joined the Idaho Milk Products team as Vice President of Human Resources & Organizational Development in 2018. Steve is responsible for the continued development of a best practice HR function and the alignment of business objectives with continuous improvement on culture throughout Idaho Milk Products. He continues to lead the effort to recruit and retain the best talent, including the development and administration of benefit packages and directs the HR team in providing support to all our leaders throughout the company. Steve holds a bachelor’s degree in Management and Human Resources from Utah State University and an MBA from Westminster College in Utah. He is certified as a Senior Professional in Human Resources (SPHR) and has lectured for Boise State University as an Adjunct Professor. He came to Idaho Milk Products from Glanbia Nutritionals where he served in several senior HR and Organizational Development roles. 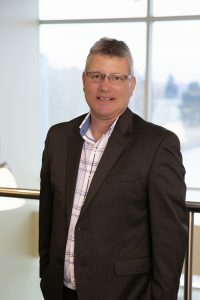 Prior to his work at Glanbia, Steve held similar positions with The Dannon Company in West Jordan, Utah, Astaris (formerly FMC) in Pocatello, Idaho and Kennecott Utah Copper. Steve has traveled to 17 countries and 3 U.S. territories. Dave Anderson joined the Idaho Milk Products team as Vice President of Operations in 2018. His focus on employee development, continuous improvement processes and project planning are amongst the essential qualities that Dave brings to Idaho Milk Products. Dave attended Nuclear Power School while serving in the U.S. Navy, where he spent much of his time on nuclear submarines, reaching the position of Engineering Watch Supervisor and was engaged in international assignments. He came to Idaho Milk Products from Glanbia Nutritionals as Site Director at their Gooding facility where he was responsible for all activities and oversaw some significant capital investment projects. 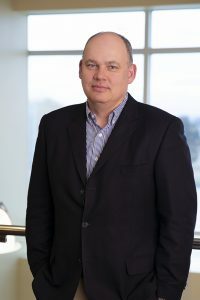 Prior to his work at Glanbia, Dave held operational and engineering positions with Sorrento Lactalis, HB Specialty Foods in Nampa, Idaho and Advanced Silicon Materials in Moses Lake, Washington. Dave lives west of Gooding, Idaho across the street from his two grandchildren, daughter and son-in-law. He enjoys being in the outdoors camping, fishing and hunting. Dr. Chenchaiah Marella joined the Idaho Milk Products team in 2014. 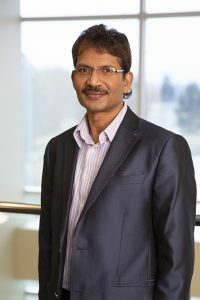 He is Vice President of Research and Product Development, with more than 20 years’ experience in dairy science and technology. Dr. Marella is responsible for new product development, product research, evaluation of new technologies, coordinating scale-up of new products, management of University collaborations, intellectual property development and everyday management of department staff and laboratories. Dr. Marella received his Bachelor of Science degree in Dairy Technology from ANGR Agricultural University, India, his master’s degree in Dairy Engineering from Gujarat Agricultural University, India and his Ph.D. in Agricultural & Biosystems Engineering from South Dakota State University. He came to Idaho Milk Products from California Polytechnic State University, as Leprino Foods Chair in dairy products technology. Prior to his work at Cal Poly, Dr. Marella was the Manager of the Institute of Dairy Ingredient Processing in the dairy science department at South Dakota State. Dr. Marella’s day starts with a cup of milk with a half spoon of instant coffee in it, he only misses this 4-5 times a year. Joe Henry joined the Idaho Milk Products team as Vice President of Sales & Marketing in 2018. Joe is responsible for overseeing the sales and marketing departments for the company. Joe earned his bachelor’s degree in marketing from Colorado State University. He came to Idaho Milk Products from Leprino Foods where he held the position of Director of Business Development, focusing on new business acquisition and was responsible for the relationship with a number Leprino’s top retail, food service, and manufacturing customers. Prior to his work at Leprino Foods, Joe was Senior Vice President of Sales & Marketing with Liguria Foods where he developed a team that delivered successful sales growth with large-scale national customers in the food service, club stores and retail sectors. He also brings valuable experience from positions he held with Coca-Cola and Multifoods Distribution Group. He lives with his wife Dana, and 2 daughters in Englewood, Colorado. Joe is an avid runner, soccer Dad, and a pizza connoisseur. © 2019 Idaho Milk Products. All rights reserved.